The Dalai Lama is also considered to be the successor in a line of tulkus who are believed to be incarnations of Avalokiteśvara, a Bodhisattva of Compassion. The name is a combination of the Mongolic word Dalai meaning “ocean” or “big” (coming from Mongolian title Dalaiyin qan or Dalaiin khan, translated as ‘Gyatso’ in Tibetan) and the Tibetan word བླ་མ་ (bla-ma) meaning “master, guru“. The Dalai Lama figure is important for many reasons. Since the time of the 5th Dalai Lama in the 17th century, his personage has always been a symbol of unification of the state of Tibet, where he has represented Buddhist values and traditions. 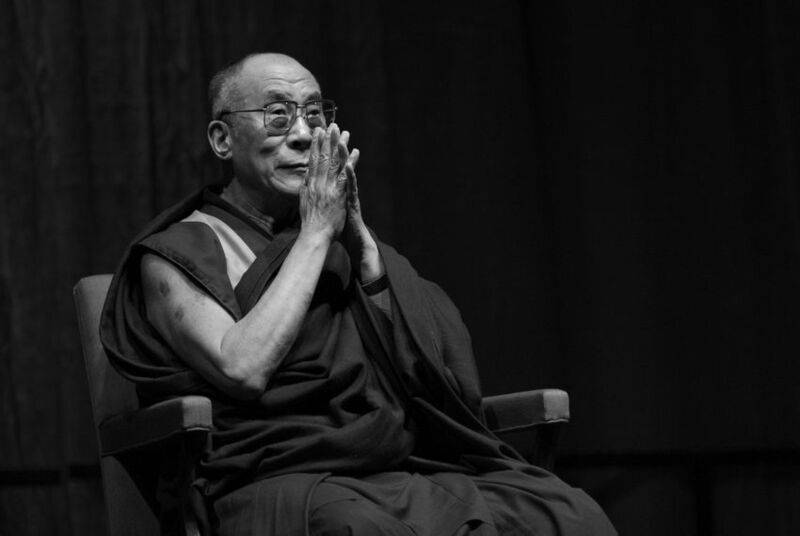 The Dalai Lama was an important figure of the Geluk tradition, which was politically and numerically dominant in Central Tibet, but his religious authority went beyond sectarian boundaries. In Central Asian Buddhist countries, it has been widely believed for the last millennium that Avalokiteśvara, the bodhisattva of compassion, has a special relationship with the people of Tibet and intervenes in their fate by incarnating as benevolent rulers and teachers such as the Dalai Lamas. This is according to The Book of Kadam, the main text of the Kadampa school, to which the 1st Dalai Lama, Gendun Drup, first belonged. In fact, this text is said to have laid the foundation for the Tibetans’ later identification of the Dalai Lamas as incarnations of Avalokiteśvara.